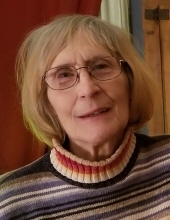 CAROL A. HUNDERTMARK (nee Niemczura), Age 78. Loving mother of Kristin Francois (Paul). Beloved grandmother of Liam. Dear sister of Thomas Niemczura (Karen), Michael Niemczura (Terry), and Susan Niemczura (Michael Pataky). Aunt and cousin of many. Passed away March 31, 2019. Funeral Service will be held in the Funeral Home on Friday April 5, at 10:00 AM. Interment Lakewood Park Cemetery. Friends may call in the MCGORRAY-HANNA FUNERAL HOME OF LAKEWOOD 14133 DETROIT AVE THURSDAY 4:00-7:00 PM. In lieu of flowers family suggests contributions to Hospice of the Western Reserve P.O Box 72101 Cleveland, OH 44192. "Email Address" would like to share the life celebration of CAROL A. HUNDERTMARK. Click on the "link" to go to share a favorite memory or leave a condolence message for the family.